Along with The Human Expression, The Human Zoo were from the Los Angeles suburbs of Westminster and were signed to Accent Records. Their album, released in 1970 was pressed in limited numbers and has become a rare collectors item. Just recently, a still sealed copy sold for $900 on e-bay ( http://www.popsike.com/THE-HUMAN-ZOO-PSYCH-GARAGE-FUZZ-LP-SEALED-12-PUNK-45/330413146897.html ). The Human Zoo album is a quirky blend of psychedelic, garage, and funky music. 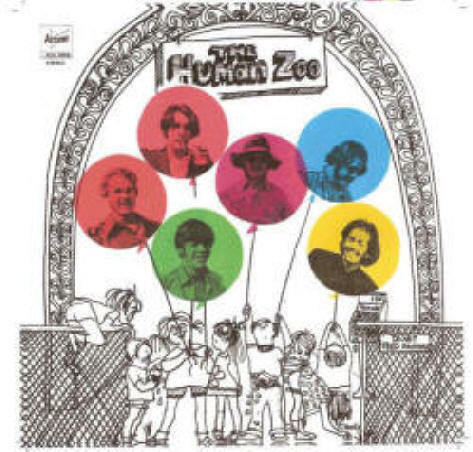 Managed by Jim Foster of The Human Expression and originally called The Circus, the band changed their name to the hipper sounding Human Zoo in 1969. Now for the first time since 1970, here is an exact re-issue of The Human Zoo album, taken from the original master tapes with all album artwork faithfully restored.